Have you ever enjoyed a glass of beer and thought to yourself ‘this is delicious, but I wish it tasted a bit more like wine’? Well, you’re in luck! Because Modus Operandi is just what you need in your life. 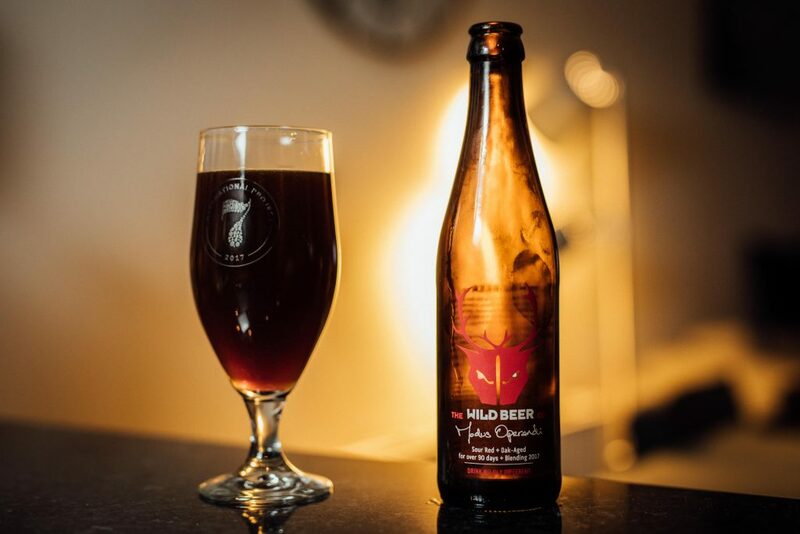 Modus Operandi is the first beer that Somerset-based Wild Beer Co ever produced and it’s brilliantly named for a brewer that consistently tries to push the boundaries with everything it produces. Like their output or not (and we do, a great deal), it is never anything less than interesting. 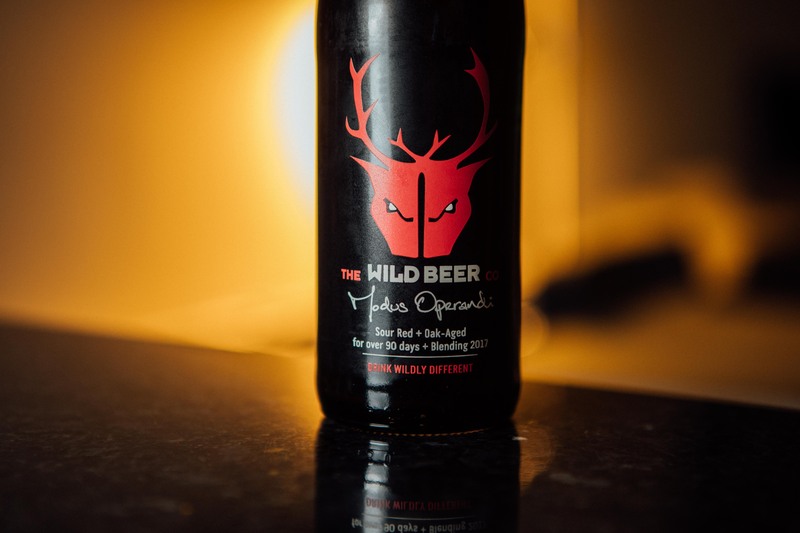 Describing Modus Operandi is like going down a checklist of all the things that make Wild Beer Co such a fascinating brewer to investigate: it’s is also a delightfully apt name. First things first, Modus Operandi is a sour. And a ‘traditional’ sour at that, with the unique flavour profile brought on by using wild yeasts in the production process. That process is slow, taking at least 90 days to work and making your mouth pucker in wholly different ways to the cheaper, faster (but still tasty) kettle-souring process. As a result the flavours on offer here would be deeply complex – with cherry fruit hiding behind the sour tang that first hits your palate – even before we get into the impact that the barrel has on the beer. Modus Operandi is aged in oak, which not only likely helps the souring process, but imparts a whole new world of flavours that most people don’t even associate with beer at the same time. Keeping beer in barrels is nothing new. Since we first started making beer, we’ve needed somewhere to keep it. Even the now world-conquering IPA was first designed to stay tasting great after prolonged stays in barrels as beer was shipped across the globe to the far-flung reaches of the British Empire. But the practice of ageing it in barrels – of keeping it locked away on purpose to shape what comes out at the other end… Well, that’s definitely not new either, but its certainly less common than the IPA. And understandably so: modern beer is meant to be drunk fresh, by and large. Hops lose flavour over time and old beer typically means it’s had more exposure to the oxygen that just ruins everyone’s fun. Ironically enough, this method of making beer is one of the oldest of all, so it might be more accurate to say that stale, rather than old, beer is to be avoided. Aged beer.. now, that’s a different story. There are a few reasons why it’s not more prevalent, and time and expense are only part of it. You need a beer that can take the barrel ageing, for one thing. Your average mass-produced brand isn’t going to benefit much from the process. Unsurprisingly – because if it wasn’t we wouldn’t have gotten this far anyway – Modus Operandi is very much a beer that can take it. The time in those barrels gives an oakiness to its flavour. Hard to picture those flavours in a beer? Then think of wine instead – anyone who’s ever noticed the vanilla notes running through that quintessential Spanish red wine, Rioja, may notice the same things going on here. All this discussion of souring and ageing belies the complex flavours that hide behind those very forward-facing first impressions. Spend some time letting it sit on your tongue and you’ll find hints of cherry and other all sorts of other red fruits coming through – tart, tangy red fruit though. Don’t come here expecting sweetness! Make no mistake, Modus Operandi is a complex beer. It has more than a little wine DNA in its ancestry, with all the associated intricacies of flavour and aroma that you’d expect. As Wild Beer Co appropriately point out, it’s ‘an exercise in patience’. Modus Operandi is a beer to lose yourself in; to savour and really explore. You’d be doing yourself, and the beer, a disservice if you didn’t.